Israeli military Operation Protective Edge aimed at targeting Hamas militant leaders and military facilities and infrastructure is ongoing in Gaza Strip for the fourth day, as it has started on Tuesday, 9 July, after Hamas started to attack Israeli military and fired the rockets in a response on a mass arrest of many Palestinians suspected in kidnapping and killing of three Israeli teenagers and a following brutal revenge murder of a Palestinian boy. Israeli government and Armed Forces claim this operation aimed at elimination of Hamas terrorist activities and that the airstrikes of the Israeli army target only the military objects, bases, tunnels, rocket launchers and the homes of the senior militant leaders, though the number of deaths in the besieged Gaza rises rapidly every day. It’s worth mentioning also that despite the fact that Israeli military managed to target and to kill several Hamas militants and to destroy many military objects of the group, most of the casualties are unfortunately among the civilians, including many children and women. Sometimes the entire families become the victims of the airstrikes, as Gaza Strip cities are densely populated, so any airstrike can cause terrible destruction in the neighborhood and multiply deaths as well. The situation remains extremely tense, as violence spirals, despite the calls of the international community to immediately halt the violence and to start the talks about the ceasefire and about the peaceful resolving of crisis. Palestinians President Mahmoud Abbas has accused Israeli government and military of committing “genocide against Palestinians” but he stated that he is ready for the talks mediated by Egypt or any other country. USA State Secretary John Kerry in his turn had the meeting with Mr. Abbas and stated that US is ready for mediation and brokering the ceasefire. US President Barak Obama has called Israeli Prime Minister Benjamin Netanyahu urging him to stop violence in Gaza and to start the talks. UN and EU expressed the similar stance, calling for restraint and the necessity of avoiding the casualties among the civilians. In addition to that UN Nationa Human Rights Chief Navi Pillay has declared on Friday that there are serious doubts that Israeli military operation in Gaza complies with the international laws, as it has already affected hundreds of civilians and left more than hundred people dead. Though Israel shows no readiness and no indication of the possibility of any talks and ceasefire, as Israeli Prime Minister Benjamin Netanyahu has recently stated that the ceasefire talks with Hamas “are not on the agenda” and that Israeli military operation will continue until the threat won’t be destroyed and security and safety won’t be guaranteed to the Israeli citizens. He also stated that the current operation could be possible long. In addition to that Israeli government stated that preparations for the possible ground offensive in Gaza are under way, as nearly 40 000 IDF soldiers and reservists were called in service and are deployed currently along the border with the besieged Gaza Strip. Israeli Navy patrols the coastal zone of the enclave, as heavy military technique is also deployed along the borders. 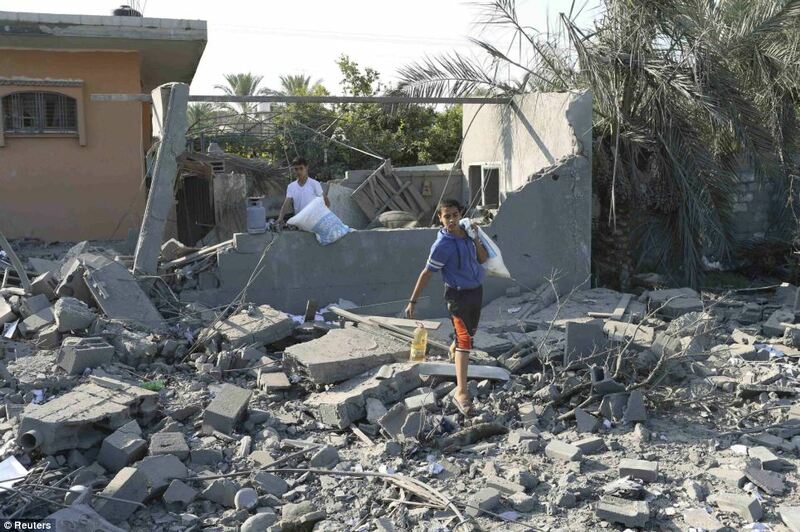 IDF aerial strikes continue for the fourth day in the cities of Gaza. Hamas in its turn claim it’s not ready for the talks with Israel and that it’s ready to face Israel in the battle. Hamas leaders claimed earlier that now “any Israeli citizen is a target for retaliation” and that they will continue attacking Israeli territory. Thus, Hamas fired numerous rockets and missiles at the Israeli territory, including the major cities. There were 410 rockets and missiles, shot from Gaza by Hamas on Israel during the Friday night, as 120 of them have been reportedly intercepted by the Iron Dome anti-missile system. 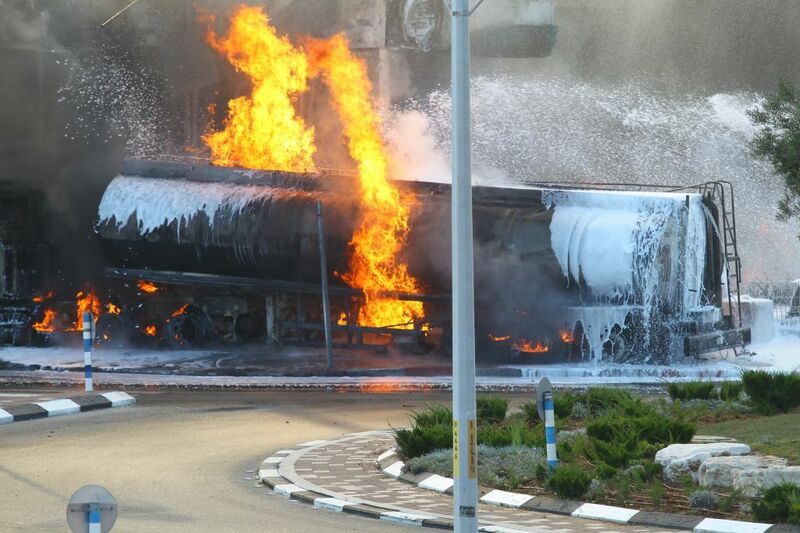 One of the Hamas rockets hit the gas station in the Israeli city of Ashdod, leaving a man seriously injured. Meanwhile death toll in Gaza increases significantly and reached more than 100 people during the four days of the operation. Most of the casualties are civilians; nearly half of them are women and children, according to the report of the Gaza Emergency Service. More than 700 are reported to be injured, and thousands appeared to be displaced. Security service workers continue to search for the people under the rubbles of the destroyed buildings of the Gaza cities. Situation in Gaza remains extremely hard and tense, as the hospitals have not enough medicine and equipment for the treatment of the numerous wounded people and are operation under terrible circumstances. In addition to that Gaza suffers from the serious fuel and electricity shortages and is threatened by humanitarian crisis, as the numbers of supplies dropped due to the Israeli assault. But despite the ongoing military operation Israel continues delivering supplies to the besieged Gaza Strip. In addition to that Egypt has sent on Friday nearly 500 tons of supplies and humanitarian aid to Gaza. Egypt in its turn declares its readiness for mediation in the talks between Israel, Palestine and Hamas in order to restore the 2012 ceasefire and to stop the violence. Egypt also receives injured Palestinians for medical treatment in the hospitals of Northern Sinai, Suez and Cairo. Egyptian authorities have ordered to reopen the Rafah border crossing with Gaza in order to receive Palestinian injured people and refugees willing to leave the war zone. But the border crossing was closed by Egyptian authorities on Friday, leaving many Palestinians confused and disappointed. UPDATE: Death toll rises rapidly in the Israeli attack against Hamas in Gaza, leaving at least 122 people dead and hundreds injured. Most of the casualties are civilians.